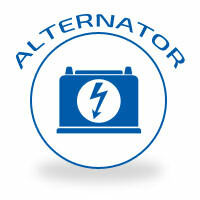 The alternator recharges your car battery as you drive to generate electricity and keep your vehicle running. It even powers your vehicle’s accessories, including the radio, fan, lights, power seats, and more. If the alternator isn’t charging the battery properly, you’ll notice issues. Signs that your alternator may be failing include accessory power issues, blinking gauge lights, dim headlights, a burning smell, or a dead battery. It can even mean you won’t have enough power to start your vehicle! Like other systems in your vehicle, the alternator and its components wear out with age and miles. Check your owner’s manual for recommended maintenance and pay attention for signs of an issue. If your dashboard battery warning light stays on, you know you have a problem. Don’t wait until you’re stranded on the side of the road. Call Melton Automotive at the first sign of an issue and our certified technicians will diagnose and fix the issue quickly.